I used to hate breakfast, like absolutely dread it. However, it’s been my favourite meal of the day since my surgery! I usually alternate between protein shakes and some form of egg meal. I always use the eggs with added omega-3 fatty acids. I try to include a lot of omega-3 foods in my diet because of all of their added health benefits. They’re supposed to be beneficial for Rheumatoid Arthritis, mood stability, the skin and the heart. Who can say no to that? Crack your egg into your pan and scramble it. I know some people do this in a bowl before hand, but honestly that’s a waste of dishes! Cut your jalapeno in half and take out the seeds. Dice it into small pieces and put them into your pan. Add Mrs. Dash Fiesta Lime Seasoning and scramble your egg again. Turn your burner onto low heat. Once it looks like you can flip your egg, do it. Add one or two Laughing Cow Jalapeno Cheese Wedges to one side and fold it over. Flip again. I promise this is one of the best omelettes you’ll ever have! Not only does it have a lot of flavour, it packs some serious protein at about 10 grams. How do you start off your day in the kitchen? 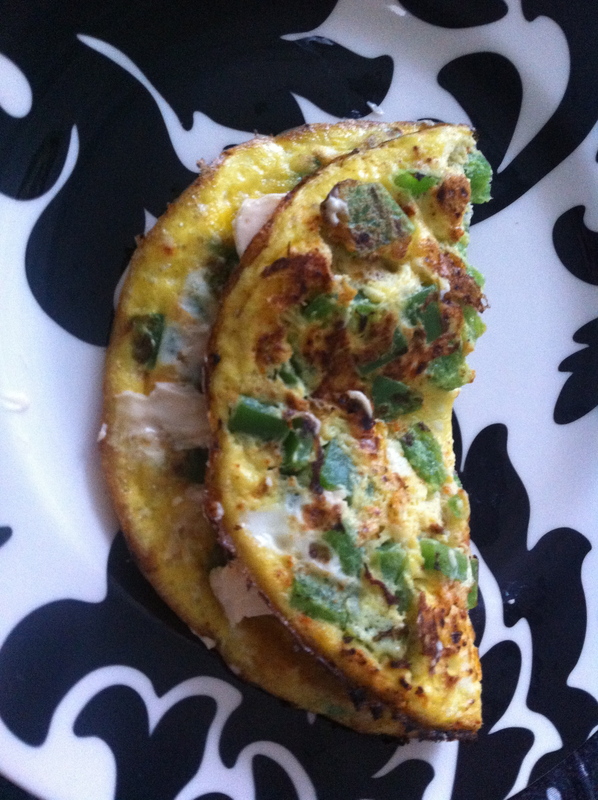 Tags: bariatric recipes, bariatric surgery, breakfast recipes bariatric, breakfast recipes gastric bypass, gastric bypass, jalapeno omelette, jalapeno recipes gastric bypass, omega-3 fatty acid benefits, omege-3 egg recipes, rny, weight loss surgery, wls. Bookmark the permalink. Thank you! Check out my Instagram and Pinterest for more ideas!